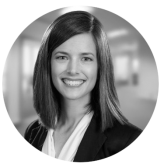 Kate Broshears co-leads the Ascend Network team alongside fellow Orr alum, Sally Reasoner. The Ascend Network helps connect students to internships and jobs in Indiana through the combination of people and technology. Before joining Ascend in 2016, Broshears supported Division III student-athletes at the national level through her work at the NCAA. Broshears began her career as an Orr Fellow at Compendium and served as the Fellowship’s Internal Chief of Staff. She holds a Bachelor of Arts in Economics from DePauw University and both a Masters of Business Administration and Masters of Sport Administration from Ohio University. In addition to serving on Orr Fellowship's Board of Directors, Kate serves on the newly formed Alumni Advisory Council.